So, an unexpected return to somewhere we’ve been before: Vauxhall Bus Station in south London. I don’t normally cover the same place twice in this blog, but the latest doings at Vauxhall Cross are crazy enough to justify a second look. Four options for the future of Vauxhall Cross and its bus station have recently been unveiled, and they make unhappy reading. Last time, I mentioned that local authority Lambeth Council wanted to demolish the bus station. It seems to have taken an inexplicable dislike to the building, although I do wonder whether there is some kind of unconscious institutional folk memory at the council which resents the loss of its pet project, the Vauxhall Pod. It certainly gives every appearance of considering Vauxhall Bus Station as a second-best facility that it never wanted anyway. For some time, Lambeth Council has been working with local transport authority Transport for London on options for improving the Vauxhall Cross one-way gyratory road system, which the bus station sits in the middle of. The aim of the exercise (set out in the Vauxhall area Supplementary Planning Document) is to create a “vibrant district centre” and make the area more cycle and pedestrian friendly. That is a perfectly laudable aim. However, the proposals go hand-in-hand with the creation of a new high street requiring the demolition of the bus station (as the former would be where the latter currently is) and its replacement with a series of bus stops dispersed around the local area. Ironically, the project information sheet for Vauxhall Bus Station by its designer, Arup, notes that the works which delivered the bus station, “liberated a section of highway to provide a site for bringing together previously dispersed and inconveniently accessible bus stops”, a situation which Lambeth Council now seems intent on re-creating. Dispersing bus stops from a single central bus station within a town to dispersed facilities further out on surrounding streets is one of those unfortunate public transport-unfriendly ideas which just refuses to die. It has been going on all round the country since bus deregulation in the 1980s, and it is still happening. Recent years have seen proposals to disperse previously convenient grouped bus stops in the centres of towns and cities like Grimsby, Guildford, and Cardiff. In Birmingham, buses have been booted off their traditional home of Corporation St in favour of bus stops spread out further away from the city centre. In that case, it’s to make room for a new tram line, so at least there is a public transport win in there (and heaven knows the Birmingham tram system needs all the help it can get). In most cases, however, a perfectly serviceable but often run-down bus station in the middle of town is sold to allow redevelopment of the site (usually for retail), with buses being forced further away from the places passengers are actually trying to reach, either to dispersed bus stops, or to a smaller replacement bus station away from the actual town centre, or some combination of both. Selling off town centre bus stations is good for the pockets of the landowner (sometimes a local authority, sometimes the owner of the shopping mall which a bus stations serves, and sometimes even a bus operator which doesn’t want the cost of upkeep of an ageing bus station). Borough councils (the planning authorities in most of Britain) are generally supportive, or indeed active promoters of such plans. They seem to feel that shops look more attractive, more ‘vibrant’, more ‘economically active’, in the town centre than does a bus station, which only fulfills the meagre function of actually getting shoppers and workers to employment and retail facilities. Pity the poor bus passenger who now wants to change from one bus to another as they have to walk between dispersed bus stops on the opposite sides of the town centre, or indeed the occasional bus user who will have no idea where to go looking for their dispersed bus stop. Why go to the trouble of having a single, convenient bus station when you can create challenges and excitement for potential users by making it near-impossible for them to find their buses? Because they will go by car instead, that’s why. Bus stop dispersal projects are often taken forward with the active involvement of the local transport planning authority (in England, usually the county council). That might seem surprising, but such projects are a chance for senior figures to be seen as can-do facilitators for the town centre development plans of their partner organisations in the form of borough councils. Besides, their portfolios often cover more than just public transport, so bus passengers can rank a long way down their list of priorities. See, for instance, Cardiff Council’s leader quoted as suggesting that a bus station in the city centre doesn’t give a very good impression of the city. For every one of these senior people intent on making bus travel less convenient, I can pretty much guarantee you that there will be one or more lower-ranking council officers in the public transport department with their heads in their hands at the latest affront being visited upon bus passengers on their patch. So the story of the last three decades is that the long-term benefits of convenient bus facilities in town centres have rarely been allowed to stand in the way of short-term financial expediency. What is remarkable about Vauxhall Bus Station is that it faces the same threat despite being less than a decade old itself. Lambeth Council is currently running open days showing off four options for the future of the bus station. All options involve its demolition, making it rather difficult for local residents to express support for an option which retains the bus station whilst also improving the gyratory road system. The problem appears to be that Lambeth Council is keen to build a new “High Street” of shops on the current site of the bus station. One thing Lambeth is not short of is shops and retail units. One thing it is very short of is world-class, architecturally interesting, useful and attractive bus stations. In fact it has only the one. The “We Love Vauxhall Bus Station” local pressure group is most annoyed with Lambeth Council’s current options for Vauxhall Cross. So is local Member of Parliament Kate Hoey, who tweeted in what sounded like some disbelief on the matter, and followed it up with a supportive message to We Love Vauxhall Bus Station. The one good thing about local authority-led projects is that they tend to take absolutely ages to come to fruition. This is usually because there is too much work, too little money, and too few local government officers at the level that actually have to get things done. This might work out rather well for Vauxhall Bus Station, and if I were someone actively campaigning for its retention, I might reflect that a building under 30 years old can only be listed by statutory heritage body English Heritage (which should prevent unexpected demolition) if it is exceptionally important and under threat, and only if it is over 10 years old. Vauxhall Bus Station opened in 2005. It is clearly under threat, though I doubt Lambeth can get it demolished before its 10th birthday, at which point it will become eligible for emergency listing. And it is an exceptional, important, building. It’s not just me and We Love Vauxhall Bus Station that think so. 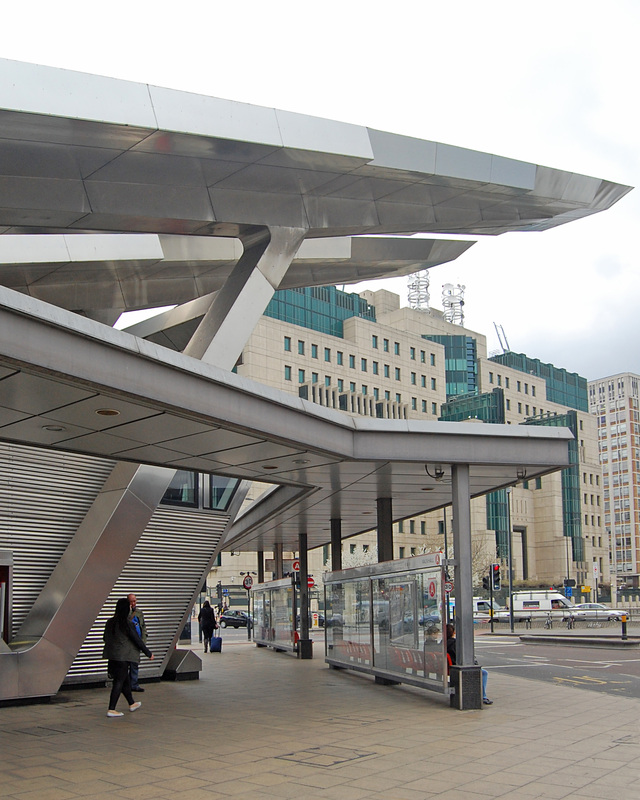 Vauxhall Bus Station is not just important as architecture. It is as vital to the story of early twenty-first century bus transport as many now-listed bus stations are to the story of twentieth century bus transport. Reigate Bus Garage (listed, grade II) tells the story of inter-war buses. Newbury Park Bus Station spans the period of the second world war (designed before it, built afterwards) and is listed grade II. Stockwell Bus Garage (listed grade II*) moves the story into the 1950s, while Preston car park and bus station continues the story to the Brutalist aesthetics of the 1960s. Vauxhall Bus Station is also representative of the increased understanding of sustainability issues at the beginning of the twenty-first century. I’m going to go out on a limb and say it was the first major transport building in Britain where solar cells were incorporated as a prominent part of the building’s appearance (the ski slope prongs on its north end), rather than retro-fitted onto a flat roof without thought to appearance. It’s probably one of the earliest public buildings in Britain to do so, transport or otherwise. It uses contemporary materials and a modern, high-tech, aesthetic in the service of convenient, accessible bus transport and interchange with other transport modes. Lose Vauxhall Bus Station and we lose part of the story of public transport in Britain, as well as making life more inconvenient for countless bus passengers every day. That is absolutely not worth another row of shops. …and everything linked to in the entry above. The idea of a central bus station that collects all the routes in one place is an obvious advantage for the public, but having said that, I truly thought for ages it was a truncated flyover! So- let it be, unless another more friendly station can be built in its place. Modern and pretty? Nah, they’ll just build another eyesore. Has no-one left a comment yet ? Well, let’s begin. What a lot of pretentious posturing about aesthetics and architectural merit, neither of which are apparent to me; the reason to oppose the destruction of the existing bus station is that it serves its purpose, and the substitute arrangements fall short in providing easy, compact interchange between buses, underground and main line rail services. That was why it was built, and if it had been possible to do that, as well as include a ‘high street’, then that would have been done in the first place. What the advocates of this current project display is their disdain for the people that they are paid, or elected, to serve. They should be held to account. For almost 10 years, we have had a bus station that serves the needs of passengers, but not for much longer. When I visited one of the Open Days to view the options for the Vauxhall Bus Station, I was told that the new schemes would reduce the total journey time of the buses by around 2 minutes – a considerable improvement, they said. What was clearly not under consideration was the fact that dispersed bus stops would increase the journey time of passengers using the interchange by many more minutes as well as causing them inconvenience and confusion. 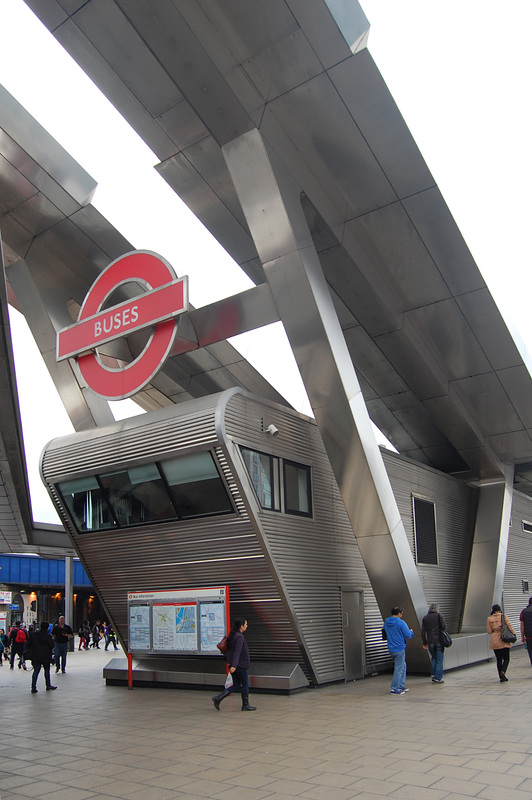 We should certainly use the innovatory architecture as a reason to preserve the bus station since the needs of passengers are clearly irrelevant to TFL and Lambeth Council.